Hello.... I'm John. I'm short, I wear big glasses and when I haven't had a shave for a month or two I somehow manage to grow a straggly, scruffy ginger beard with flecks of grey in it of which I am very proud. Lots of people think I look look like that choir master chap on the telly (I can't see it myself but who am I to argue). I have been taking pictures for a long time now. I can't photograph cats, landscapes or sunsets, but I do love taking photos of people and somehow manage to make my living doing so. 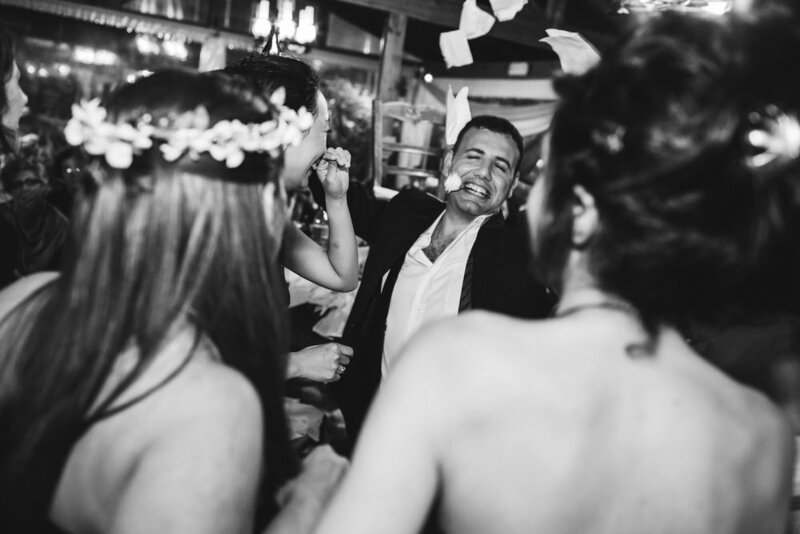 In that time I have developed a real love for capturing the special moments of a wedding day and have found a style that truly reflects how I would wish to have been photographed at my own Wedding. I have worked for many lovely couples and I am truly humbled whenever I am asked to be a part of one of the most important days of their lives. My wedding photography is intended to record your wedding day in a refined reportage style. I like to work in a way that ensures I document your day, without being central to it. I want my images to reflect the love, romance, joy and beauty of the day, together with special moments spent with family and friends. I fully understand that being photographed can be quite a daunting experience for many people (I'm not overly keen on being photographed myself). However, I pride myself on working with clients in a relaxed and friendly manner in order to ensure that it is an enjoyable part of their wedding day. To get a better (and more importantly, independent) idea of how I work, please take a look at my testimonials page. I am a member of the Society of Wedding and Portrait Photographers (SWPP) in the UK and also Wedding and Portrait Photographers International (WPPI) in the United States. I am also fully insured. WHAT ARE MY PRICES ? My pricing is I hope very simple. I offer a 'menu' of options which includes a package for a full days coverage of your wedding. Please do get in touch for further details. Of course, if you have plans that don't quite need a full days attendance, I’ve got you covered as well. WILL I TAKE GROUP PHOTOS ? One question I get asked on a regular basis is do I take group photographs as there are no shots of this nature in my websites galleries. The simple answer is yes, I am happy to take group photographs... I totally understand how important they are. Hanging out of windows or standing on a hotel roof to get that shot of all of your guests... no problem! 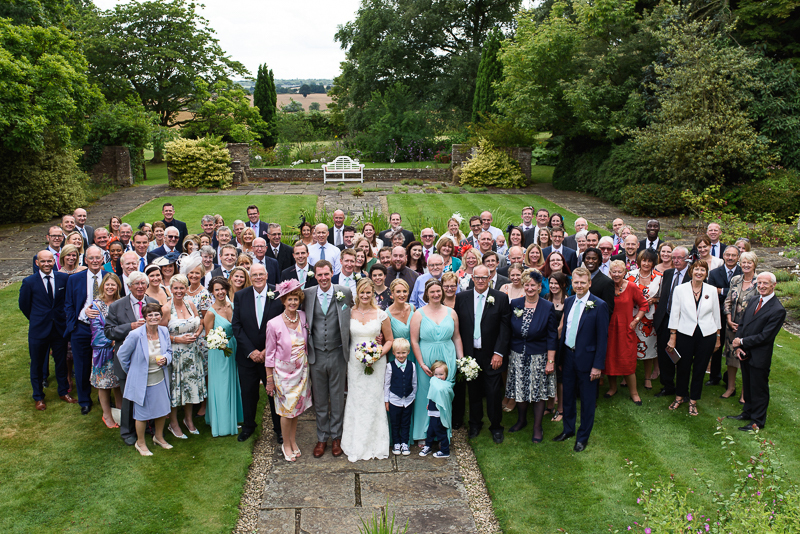 However, I do prefer to limit the amount of any formal group photographs taken to a relatively small number (between 6 and 8 groups is perfect) as it can take quite a long time to take images of this nature (rounding people up at a wedding can be quite challenging at times!) A lot of group photographs reduces the amount of time available to me to work in the manner that I hope you would like me to, and it of course reduces the amount of time you have to spend with your guests. I don't include these sort of images within my galleries simply because it is very important that people hire me because they want the style and manner of work that I love to create that you see throughout my website. I'm very lucky to live on the borders of the gorgeous Wyre Forest in Worcestershire, so it would be quite easy for me to stay put in my local area, but I adore travelling... near or far it doesn't matter. I don't charge travel expenses if your wedding is within a 100 mile radius of my home, but if it is further afield, my expenses are kept to a minimum as traveling really is a treat for me. WILL WE MEET BEFORE THE BIG DAY ? Yes, where possible I consider it absolutely essential that we meet before the wedding day. Obviously it may not be geographically possible to meet on occasion (this is especially relevant to destination weddings). Should this be the case I am always available to chat via telephone/email/skype to ensure that I am fully aware of your needs before prior to, during and after the wedding. ARE ALL THE PHOTOS ON MY SITE FROM REAL WEDDINGS ? Yes. Every single image on this website (with the exception of certain product photographs) are from real weddings that I have photographed predominantly within the last 18 months or so. They are not from 'styled shoots' or portfolio building courses and do not contain models. A statement I hear at most of the weddings I photograph (usually from guests) is "You can Photoshop this for me can't you?!". My response is always to smile, acknowledge the person and move on with my work. In reality, I edit all of my work... but it is a light edit (removing blemishes etc) but I do not wish to heavily retouch photographs, turning people into facsimiles of themselves. Of course I endeavour to photograph people as flatteringly as possible, but my main aim is to create Simple, Elegant and REAL photographs. I want to capture the beauty of a wedding day as honestly as possible. My favourite photographs of my family aren't staged images that have been retouched... they are candid images that capture the emotions of a moment and I want my wedding photography to be no different. So, in short yes I do edit my images but no, I won't make you look like someone you are not. WILL I STAY FOR THE RECEPTION ? WHY THE CAT WITH THE GLASSES ? I'm very much a cat person, and I wear big glasses..... so it seemed apt! Big thanks to Denis Krasavchikov for the illustration.